His name was carved in the black marble of the Vietnam Veterans Memorial. He'd been reported lost in a helicopter shot down by the Vietcong. Only he hadn't been in that helicopter when it crashed. And he wasn't dead. Instead he'd spent 20 years in a Vietcong prison after being betrayed by three men - one of them his best friend. During 20 years of almost total darkness in a rat-infested cell, Keith Johnson has had time to plan. So, like a ghost, he has returned to even the score. He has no intention of killing his betrayers; he wants to ruin their lives like they ruined his. Johnson's elaborate plan is meant to cause the three to self-destruct, and given their characters, it ought to be easy. But his scheme goes haywire with consequences he neither foresees nor wants. 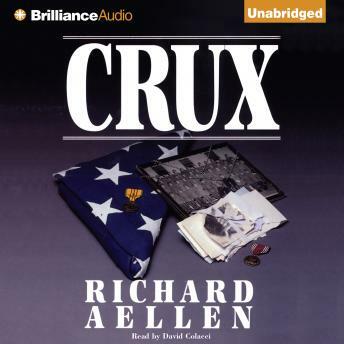 Crux is a story of revenge gone too far, an audiobook full of hair-raising excitement.